Have you struggled to find a gun that can reach out accurately to some distance, but doesn’t need a suitcase to be carried? I’m going to introduce you to one of the greatest gun values on the market today. I recently conducted a test and evaluation of the Kel-Tec Sub 2000 and in my 30 years of shooting, I’ve never seen a product that combines the ease of shooting of a rifle with the portability of an Autobot. This weapon is a marvel of function and portability but is a little rough around the edges straight from the factory. Thankfully, I also found some sweet upgrades that make it do exactly what I wanted. Kel-Tec has made a name for itself in the gun industry as an innovative company. They aren’t afraid to try new firearms ideas. Tapping into the current trend of pistol caliber rifles, Kel-Tec jumped in feet first with the Sub 2000—a modern day Transformer. Available in 9mm and .40 caliber, the Sub 2000 appears to be a somewhat anemic, mostly plastic, black rifle (though they are also available in green and tan). That’s about the end of where first impressions make sense though. You can buy this rifle in variants that run on different magazines. Smith and Wesson M&P, Sig Sauer P226, Beretta 92 & 96, and Glock 17, 19, 22, & 23 are all options you have when making your rifle purchase. This is extremely cool because you can now have compatibility between your rifle and pistol. In the days of the Old West, shooters often carried rifles and pistols that shot the same caliber bullet. This was extremely useful because you only had to carry one type of ammunition. The Sub 2000 is an improvement from this practice because the same magazines can be used for the rifle and handgun. The Kel-Tec Sub-2000 Gen 2 in its stock configuration. In all likelihood though, the most exciting aspect of the Sub 2000 is the fact that it folds in half. At 30.5 inches the rifle is no slouch, but folding it in half creates a package only 16.25 inches long. A quick reference to help you visualize the folded Sub 2000 is a computer keyboard, it’s roughly that size. You may ask yourself why a folding rifle is chic—the simple fact is; you can take it nearly anywhere. Folded up, the Sub 2000 can fit in a laptop bag, a sling bag, or a small backpack. It can be stored in relatively small places, tucked under a seat in a car, in the map pocket of your truck, or near the spare in your trunk. Size often defines capability but the Sub 2000 turns that idea on its ear. By folding this baby up, you can carry long gun performance in a much smaller package – something you normally only get from an SBR, but without all of the NFA price and trouble. My eyes widened the first time I saw the rifle, I imagined the pocket in my backpack I would place this tool when I went hiking or camping. I set about dreaming up the perfect carry package and started reaching out to make it happen. Kel-Tec sent me a Glock 19 model of the Sub 2000 Gen 2 and I was overjoyed. This gun can run any Glock magazine that is 15 rounds (double-stack) and up, all the way to the 33 round Happy Sticks, that’s a party! I also contacted Hazard 4 for a Grayman Line Plan-B sling bag. This company makes some amazing bags but they often scream “Tactical operator over here!” with their military colors and webbing. The new Grayman Line offers the same utility with a muted approach that doesn’t tell everyone you’re carrying a firearm. Within a pretty short time, I had everything and was ready to start testing. The Sub 2000 fits perfectly in the Plan-B and I was off to the range with a (provided) Magpul 15-round magazine and a couple of Magpul 21 round magazines I already had. I loaded up three types of 9mm ammo and headed to the range like the lead-addicted maniac I am. I began to make observations immediately. The Hazard 4 Plan B in Grayman is a subtle alternative which still offers great utility. First off, you have to imagine that when designing a gun that folds in half, you’re going to have to sacrifice on a few things. I mean, it’s totally portable, only weighing in at 4.25 pounds. But the ergonomics had taken a backseat in order to prioritize the function of the weapon. The first big challenge was I had a hard time getting a good sight picture. Laying my cheek on the buffer tube, it was tough getting the front post in view of the rear ring. I have a big noggin so this may be part of my challenge, but I had a hard time getting consistent groups standing at 10 yards. I was averaging around 2 inches. This isn’t horrible, but I felt things should be better. 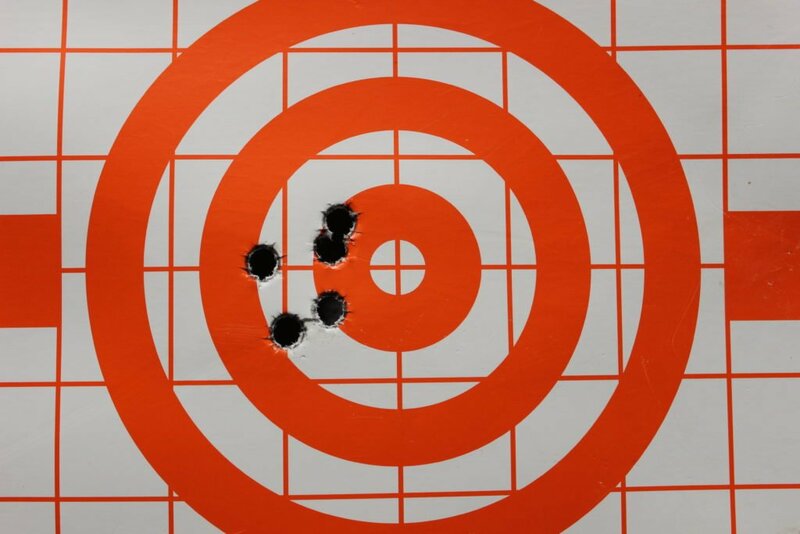 I placed the rifle on a rest and was able to achieve one-inch groups at 10 yards fairly consistently, but my eyes strained to line everything up. Stretching out to 25 yards I averaged 2-inch groups supported and 5-inch groups unsupported. The trigger was heavy, around 9 pounds, and kind of mushy. I also noticed that after just over 100 rounds, my cheek was sore. The blow-back system in the Sub 2000 allows a heavy bolt to run back and forth just under your cheekbone, I felt it after a while. Kind of like this…but with all of it happening right under your cheek. It soon dawned on me Kel-Tec had pulled off some amazing feats, but I also understood where they sacrificed. The sights are the biggest weakness, in my opinion, and the ergonomics come in second. The MSRP of the Sub 2000 is $500 but you can find them consistently around $400 online. This is cheaper than many of the handguns they share magazines with. At this entry level price, buyers get a whole lot of utility and a lot of value. The price is very affordable and comes with an added benefit—being able to buy in so low means you may have money to customize the rifle however you want! There is a strong aftermarket for the Sub 2000 right now and it’s getting more popular. This is no doubt due to the gun’s success. However, the rifle is hard to find in gun stores, especially certain varieties. When your local FFL gets them, they don’t stay on the shelves long. So, the first step is getting a gun to work on. Good luck! With the rifle in hand, you can begin chipping away at a hit list of improvements. Top of my priority list was an optic, as well as some things that might help with making the weapon fit me better. I wanted to wring out every little bit of accuracy and utility I could from this mighty package. After conducting some research, I found a company called MCARBO. These guys make a whole suite of upgrades for the Sub 2000. And even better, they have a ton of instructional videos on YouTube which walks you step-by-step through the installation process. I contacted the company and they sent me a full upgrade kit. However, in case you haven’t heard, YouTube has changed their rules and those videos might not be up for long. If they get reposted by MCARBO somewhere else I’ll be sure to link them in here. Midwest Industries has a great optic mount that works around the Sub 2000’s ability to fold in half. Rotate the optic out, unfold the rifle, rotate the optic back into the eye’s line of sight. The unit mounts to the MLOK side rail along the rifle’s barrel. Onto this ingenious platform, I mounted a Vortex Crossfire Red Dot Sight. Vortex optics are tough, guaranteed, and this tiny little sight with it’s 2 MOA red dot and 1x magnification perfectly fit the bill for what I needed. With 11 brightness levels, I was bound to find one that would serve in every lighting scenario. If you’re looking for more ideas for what kind of optic to put on your Sub-2000, our Best AR Optics and Scopes guide can help! Fully realizing the handgun relationship implied with this rifle I had to consider a solution for slinging it. I contacted Tactic Shop and requested one of their high-quality single point-slings. Installing the sling would allow me to stow the weapon if I needed to transition to a pistol or do something with my hands. In addition, the Sub 2000 has a Picatinny rail which allowed me to mount a Magpul AFG-2. The “Angled Fore Grip” blended extremely well with the overall black plastic theme and would provide some distinct advantages. 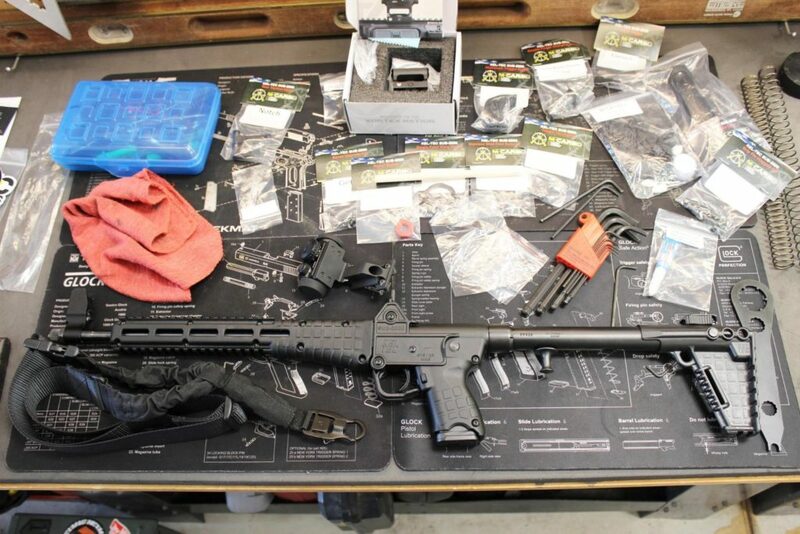 After I had everything assembled, I spent a Saturday afternoon overhauling the gun. What I did to the Sub 2000 laying on my workbench would have made even Megatron blush. Internal parts where everywhere, the videos were streaming and upgrades progressed in a fashion that made my inner tinkerer smile. The overall process was a breeze because MCARBO even provides needed tools. After everything was added I cackled like Dr. Frankenstein. I couldn’t wait to try it all out. I spent a pleasurable Saturday afternoon upgrading this gun’s potential. 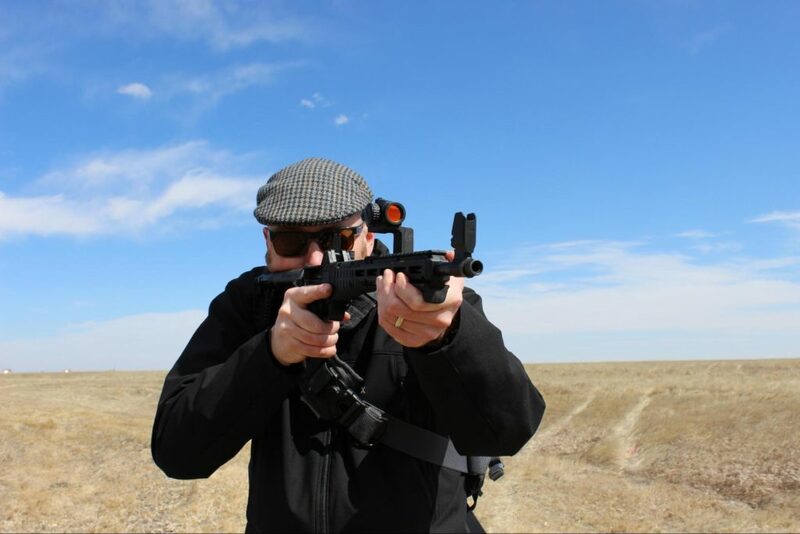 The following day I drove to the range with the newly modded Sub 2000 to test my theory of evolution. Nestled in the Hazard 4 bag, the rifle still fit perfectly well even with the add-ons. The overall bulk wasn’t much different, but I figured the upgraded components and improved fit would be huge. 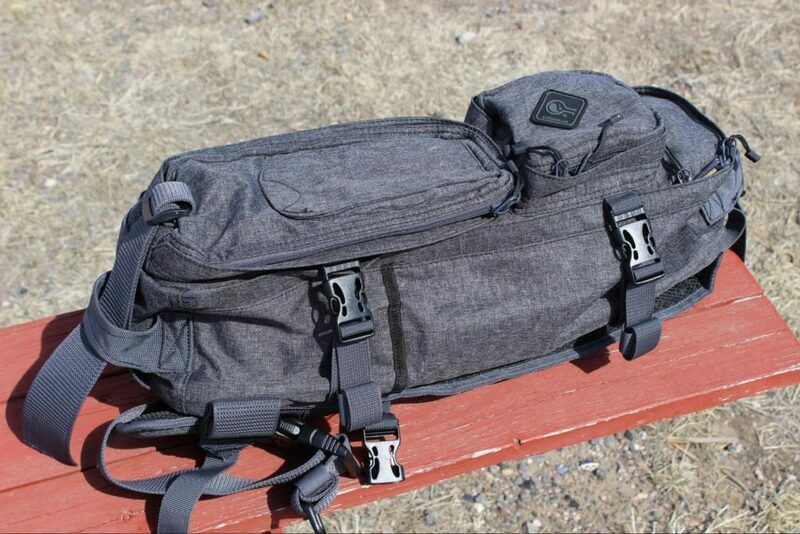 The Grayman line has great utility in the multiple pockets, but it doesn’t broadcast concealed carrier to anyone. It’s also small enough to not be obtrusive while being big enough to hold the Sub 2000 and quite a few other items like magazines, an IFAK, and more. I approached my target, slung the bag to my front, opened it, removed the Sub 2000, assembled it, and cut loose. With the Vortex, I instantly had a sight picture that did not cause me any eye strain. I drilled one-inch groups at 10 yards and those only spread out marginally at 25 yards. 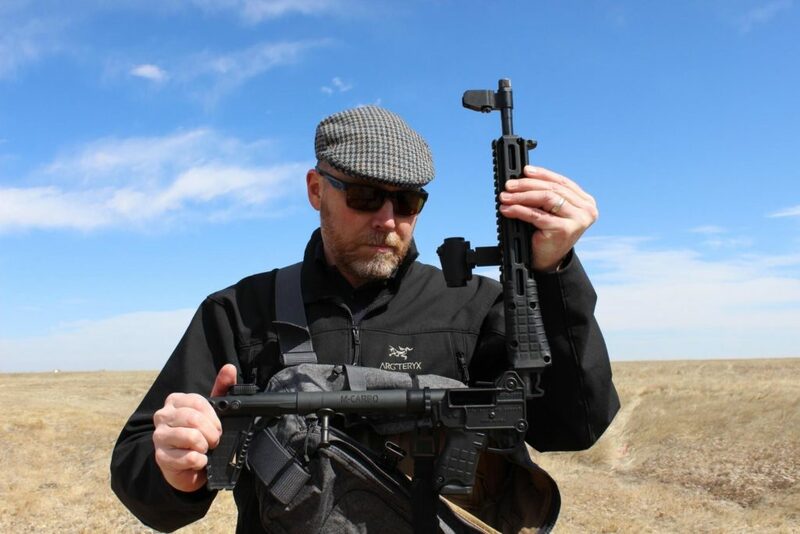 The Magpul AFG allowed me to pull the rifle into my shoulder better and I drove the gun with accuracy between targets. These were the results I was hoping for! The MCARBO version of the Kel-Tec Sub 2000 deploys very nicely from the Hazard 4 Plan B. The rubber sleeve provided by MCARBO gave my cheek a much better experience and the extended charging handle allowed my big hands to charge the weapon with ease. The trigger kit crispened the trigger from its mushy 9 pounds to a sharp 4.5 pounds. The trigger itself was replaced with an aluminum one, also eliminating some of the flex of the plastic original. The main piece used to break the gun down to its folded position is the trigger guard. MCARBO replaces this critical component with a beefy, aluminum version too, completely eliminating the somewhat bendy OEM version. With so many internals replaced or upgraded, I felt like I had a high-performance machine. The recoil of the rifle was assisted by an added recoil buffer from MCARBO and the QD sling attachment made clicking in my single-point Tactic Shop sling a breeze. The bungee on the sling made transitions between rifle and pistol a breeze and the wide strap allowed me to carry the Sub 2000 without fatigue for the majority of the day. For a final touch, I added a Dagger Defense DD-SD01 weapon light. Available for just $29.99, this critical piece of kit enabled the Sub 2000 to light up targets with 200 lumens. One of the best things about it is the top and bottom switch. With my thumb-over-bore grip, I was able to activate the light without altering my grip on the weapon. From carrying to deployed, the Sub 2000 and the Plan B are a great combination. This gun isn’t meant to be ergonomic, it’s meant to be stuffed in a backpack and hauled out if something goes terribly wrong on your outing. It gets the job done, but it isn’t a custom-fitted rifle. This gun is accurate but the stock sighting system was not working for me. Once I installed the Vortex red dot I had a lot better results. But this means the gun is accurate, I just couldn’t shoot it well with the stock sights. I had zero malfunctions while operating this gun and I shot approximately 600 rounds during multiple stages of testing. The aftermarket is growing for this platform and the upgrades that are out there have an amazing impact on the performance you can expect from the Sub 2000. It is encouraging to see such support for this popular rifle. Function drives the form in this gun. I like the polymer aesthetic, it reminds me of a Glock in many ways—it’s black, plastic, and highly functional. However, it isn’t a wonder of engraved steel and stained wood buffed to a shiny finish. For what you get, this rifle is an outstanding value! I have seen them online for the $400 to $450 range. Often times the local FFL I have shopped at only have the guns for a short period before they sell out. The function and portability you get out of this gun are superb when you compare it to the cost of many popular handguns at double (or more) the price. Kel-Tec did a marvelous job with this weapon by keeping it affordable. You can obviously wring more potential out of it with some good upgrades, but that’s the genius! 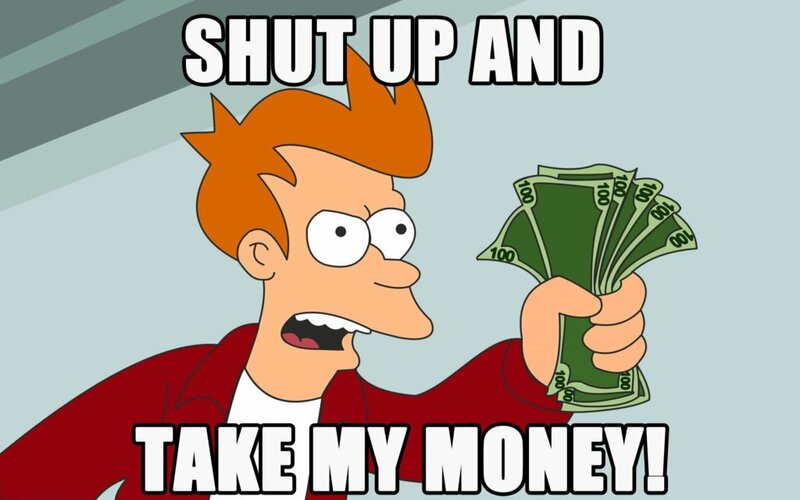 You’re getting a foldable rifle for less than many popular pistols. With those savings, it’s cheaper and easier to chip away at upgrading where you think it makes the most sense. 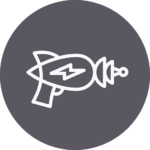 The end result, upgraded or not, is a packable, quality, shooter. Kel-Tec made an outstanding gun when they dreamed up the Sub 2000. This little rifle is a big surprise when you think about its size versus what it can do. At a price well below most of the pistols it shares the magazine with, you can reach out to greater distances with accuracy. That being said, there is a great deal of emphasis on the function gained in that utility. There is little importance given to comfort and the sights were sub-optimal for me. I would encourage anyone to pick up a Sub 2000 (if you can find one). It is perfectly useful in the stock condition—but you can do so much more if you choose! All the companies listed above have great products that bolt on to the rifle and all are pretty reasonably priced, depending on the part or kit you want. The bottom line is, you get a rifle that can be folded up and stowed and keep it not far from your reach. Whether you’re on a weekend camping trip, out on a day hike, or just protecting your home, the Sub 2000 is a potent little shooter with tons potential. What was that total cost of the fully upgraded Kel-tec 9mm carbine? Great write-up. Clearly presented with defining details. Outstanding format with clear images between the short paragraphs. You are good! Again, thanks for the great write-up. You said you added a rubber guard to the stock. What brand is it and where did you find it? I cut a length of black foam water pipe insulation and slipped in the buffer tube of my SUB 2000. It compresses when the rifle is folded so there’s no problem with folding. And can still lock the charging handle back. Just wondering how you’re mounting the light there, have a part by chance? Thanks! I believe it was a BCM M-LOK to Picatinny rail adaptor. David, thanks for the response. I picked up the Magpul one and it’s just not doing it for me. May give that one a shot.